This is an unprecedented time for the church in Cambodia! Even though only 3 percent of our people profess Christianity, we are seeing a time of strong growth in numbers attending church, as well as believers growing in the depth in their relationship with the Lord Jesus. 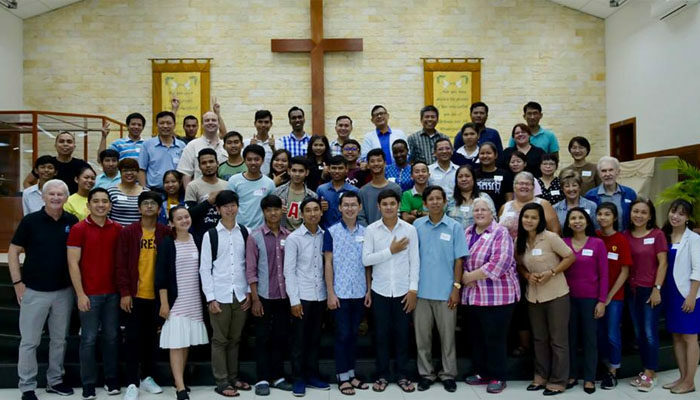 Most of those seeking the Lord and coming to faith are who we call the 3Gs — the third generation since the horrendous Khmer Rouge years of suffering. These young people in their 20s and 30s are very open to the gospel, and those who have believed are growing strong in their faith! The exciting thing is, media is what speaks to them! It’s the main method of communication and interaction for 8 million who are using the internet and 7 milion active social media users. It their go-to for information and research, as well as developing relationships. Because many of our church leaders are older, even though they see the growing influence of media on this generation, they are unsure about the benefits or communication skills needed to effectively utilize it in their ministry. We are so grateful to the ministry of AP Media for coming to facilitate this media training for pastors and young people who are ready and willing to be used in this vital ministry. Pray that the church leaders will “buy in” to the value of using media in their churches and for outreach. Pray that young participants will not only learn skills, but catch the vision of reaching the lost through creative story telling.